"Here's a meaningful and beautiful gift for Christmas. Bill Fitzpatrick has given us a sacred book, one for the ages." -Tom Poland, Author, recipient of the 2018 "Order of the Palmetto"
The church of your childhood, no longer attended and the doors long closed, but constantly in your peripheral as your drive through town or home for a visit. What if, perhaps, one day, it was no longer there? An empty lot where this building block of a community once stood. Unfortunately, all too often, that is when people begin to notice and that is when it is also too late. More and more small churches are struggling or closing their doors altogether. History is embedded in the timbers of these churches and with the loss of rural Christian culture these churches represent a generational shift. The plight of these sacred spaces in South Carolina's rural communities need more attention. By bringing awareness to these issues, we can do more to help preserve them. Preservation SC hopes to find some common ground between the memories and significance of these old churches and today's values and visions for the future. 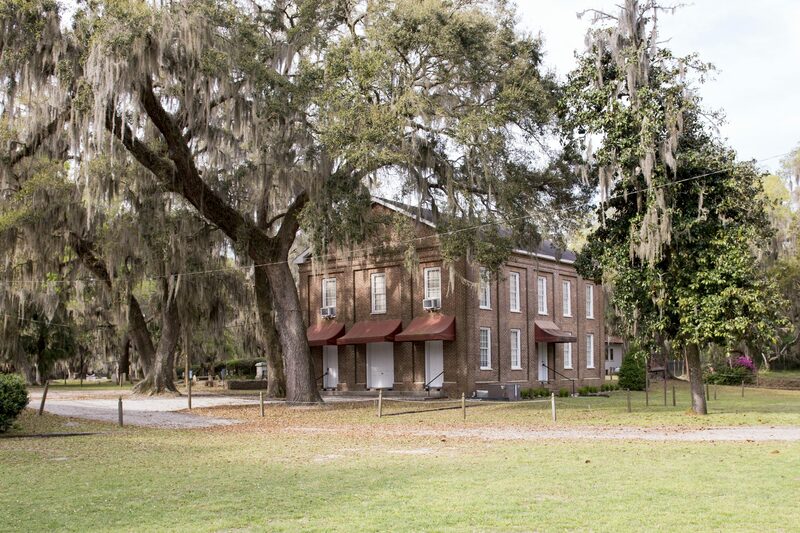 Preserving these structures of yesterday not only keeps the past alive but it reminds many of us where we came from, it brings the history of South Carolina, figuratively and literally, to life. Author and photographer, Bill Fitzpatrick and I agree that South Carolina's story could be told through the collective histories of its sacred spaces. When Bill approached me and offered his beautifully produced, 248 page coffee-table book to Preservation South Carolina, his only stipulation was that all of the profits from its sale go to the preservation of our state's sacred spaces. Between myself and the Board of Directors, we knew we couldn't turn down this opportunity to help preserve our state's heritage for future generations. Whether we attend religious services on a regular basis, or not, I would argue that when we travel along our state's less traveled roads we all pause, if just for a second or two, to stare at the aching beauty of a long-forgotten church. Who once worshiped here? What year was this church built? Who now tends to its weathered boards and windows? What unknown history does it hold? Preservation South Carolina hopes to remind communities of the significance of these buildings that were once a central meeting place, and spiritual and cultural hitching post for many people. With the sale of this book, Preservation SC will be able to continue our work to keep these churches from crumbling and offer a new outlook to the future of the buildings and the future of the communities to which they have so often been integral. By putting intention and repair back into these buildings, our goal is to make sure they are ready for their next great purpose, whatever that may be. You can be a part of this recovery with the simple purchase of a book that will help tell this history for years to come. If you shop with Amazon, consider using Amazon Smile and designate Palmetto Trust for Historic Preservation as your charitable giving choice for an even larger impact. Or, Order Below - We'll Process Your Order Immediately! More and more small churches are struggling or closing their doors altogether. 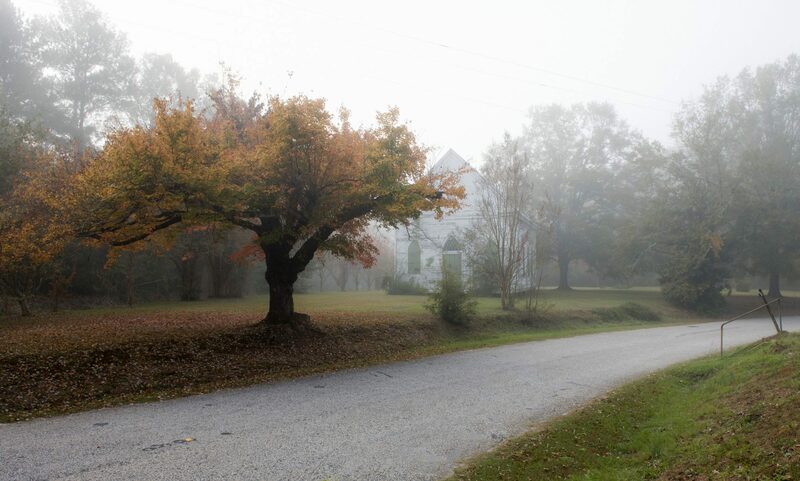 The plight of these sacred spaces in South Carolina's rural communities need more attention. By bringing awareness to these issues, we can do more to help preserve them. “History is embedded in the timbers of these Churches,” said Mike Bedenbaugh, Executive Director. “With the loss of rural Christian culture these churches represent a generational shift.” Preservation South Carolina hopes to remind communities of the significance of these buildings that were once a central meeting place, and spiritual and cultural hitching post for many people. Preservation South Carolina hopes to keep these churches from crumbling and offer a new outlook to the future of the buildings and the future of the communities to which they have so often been integral. By putting love and repair back into these buildings, their goal is to make sure they are ready for their next great purpose, whatever that may be. Give the gift of history, order one for you and for friends & family. In stock and ready to ship in time for the holidays! Bill has graciously donated this stunning book to Preservation South Carolina for the purpose of creating an Endangered Sacred Spaces Fund. This fund will be utilized to save sacred spaces that are at risk of being lost forever. So, as you enjoy the history and stories of the sacred spaces in the book, know that your purchase will help ensure sacred spaces, that now stand empty and at risk of loss, will not be forsaken. You will be taken to PreserveSC.org to complete your purchase. Prefer to mail? Download the Order Form. Want to make a donation to further help the Endangered Sacred Spaces Fund? We've got you covered - Click the donation button below! Make Your Sacred Spaces Fund Donation Today! Join Preservation South Carolina and the Department of History & Archives for the 2019 South Carolina Historic Preservation Conference. 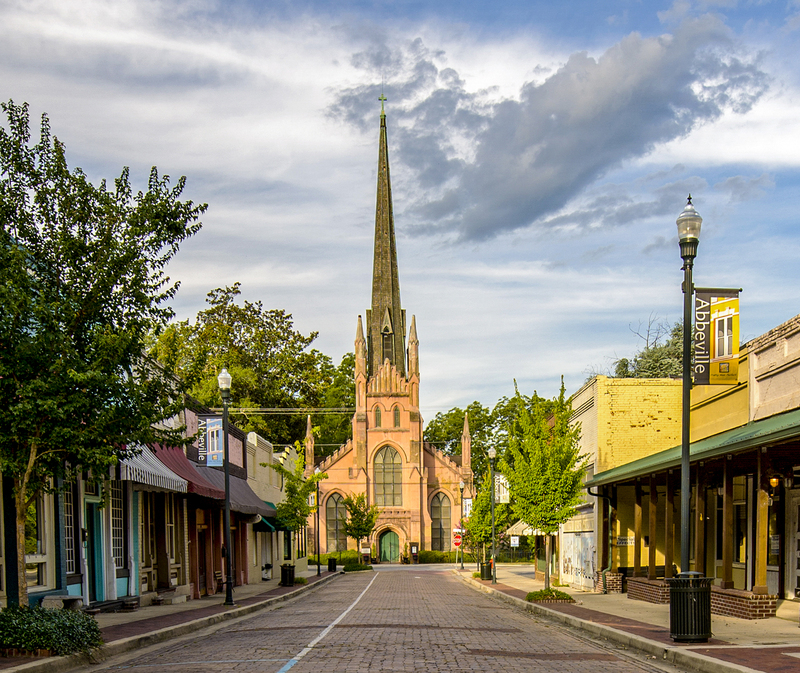 Michael Bedenbaugh, Executive Director of Preservation SC, will be presenting a program at 9:00 am – 9:45 am regarding South Carolina’s Sacred Spaces Fund: Saving our Endangered Sacred Spaces / Trinity Episcopal of Abbeville, SC. 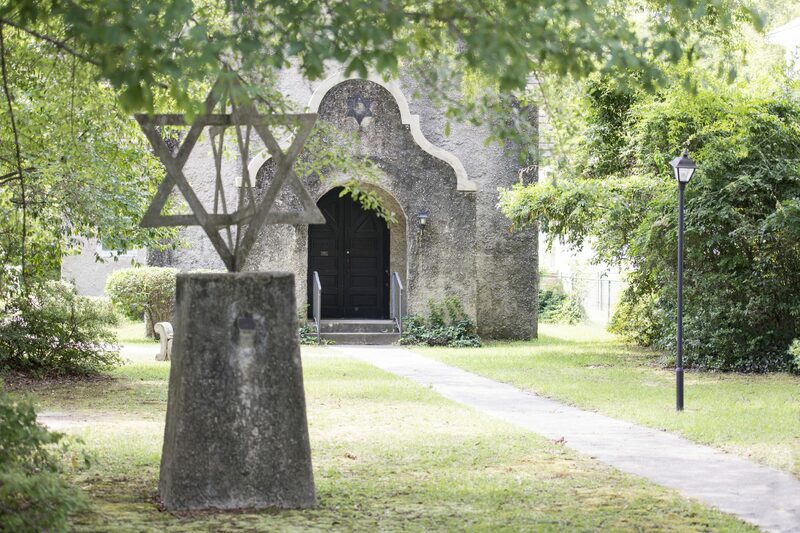 Join Author and Photographer, Bill Fitzpatrick as he takes his South Carolina’s Saving Sacred Spaces book tour to the Lexington County Public Libraries for their 2019 Summer Reading Program. The theme for this year’s summer reading is “A Universe of Stories” and is a part of Libraries adult summer program. Bill will be sharing his stories from the South Carolina’s Sacred Spaces book. Books will be available for sale and don’t forget to get the book signed by the author! For more information call the Swansea branch at 803-785-2680. For more information call the Lexington branch at 803-785-2680. For more information call the Pelion branch at 803-785-3272. For more information call the Batesburg-Leesville branch at 803-532-9223. For more information call the Irmo branch at 803-798-7880. Saving Sacred Spaces, © 2019 • All Images ©Bill Fitzpatrick / Preservation South Carolina.